What's the proper way of opening and closing my car's hood? How do I properly open and close the hood of our car? Hi, Mark. Cars have gotten very reliable these days that opening and closing the hood (engine cover) is something that many owners might rarely think of. It’s entirely possible that a car owner may not even have to think about looking under the hood in the early part of his or her car’s life, until, well, something goes wrong. 1. Ideally, you want to check under the hood when your vehicle is parked on a relatively level surface. This is because it’s safer to be on a level surface when working on your car, lest it rolls away without you in it. Moreover, the level of the fluids can’t be accurately checked on an inclined surface. 2. To open the hood, first find the hood release inside the cabin. 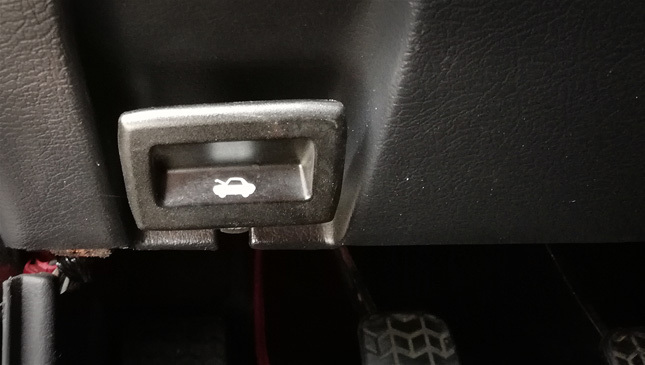 Most of the time, this lever is marked with a side-view outline of the front of the car with the hood up. And it’s usually at the bottom of the dash near the driver’s door, or at the bottom of the dash under the steering column, or on the floor at the driver’s side. However, some cars have completely unmarked levers, and you’ll just have to try it out if it is the hood release. But if you really can’t find it, check your owner’s manual. 3. Once you’ve popped the hood with the lever, there’s still another device you’ll need to manipulate to be able to open the hood–the hood catch. The hood catch is a small hook that you need to disengage to be able to open the hood. It’s a secondary mechanism that prevents the hood from flying open just in case the hood latch fails. You’ll have to find this under the leading edge of the hood, and it works by either pushing, pulling back, or pulling to the side, a lever that releases the catch. If you can’t find it, you’ll have to find somebody who can teach you. Or you can consult your trusty owner's manual. 4. Once you’ve gotten past the hood release and the hood catch, you can now lift the hood open. Some cars have a spring-loaded hinge, or gas lifts to aid in the lifting of the hood, and these mechanisms also keep the hood up. However, some cars may not have these and you’ll have to lift the hood up manually. On cars like these, they’ll have a hood prop. A hood prop is a rod that resides either in the front part of the engine bay or the side of the engine bay and you use it to prop the hood up by lifting it and sticking it in the appropriate slot under the hood to keep the it up while you inspect your car’s engine bay. 5. Closing the hood of the car may seem simple enough but you also have to be careful in doing so. The latch is spring-loaded such that it will need some force to close the hood after you’ve set it down. The best way is to put your palm on the spot where the hood latch is and press down until the latch catches and the hood is closed flush with the fenders. In some cars with light aluminum hoods, you don’t want to use your fingertips to press down as you might leave dimpled impressions, tiny little dents, caused by your fingertips on your hood. 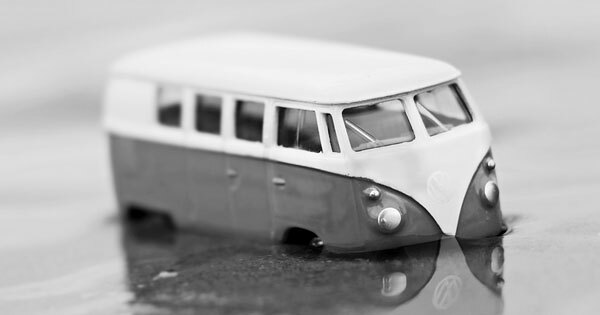 Can you sell a car that's been underwater?